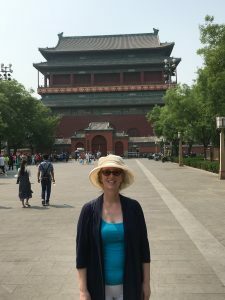 OK, I admit it – I wasn’t prepared enough for Beijing, China. I’ve been to lots of places where I don’t speak or read the language – great travel adventures. One such event was where I drove or tried to read in Czeck where all the signs use diacritic lettering. I remember it was really hard at the time. Even then, I managed to start to see the patterns and find my way. My 1st Day here – not going well! China – nope – no hope and no one speaks anything remotely Latin/European in origin. I’ve no idea what they are saying – all I’ve got is body language. Plus, there’s so much here that doesn’t look or feel 3rd worldish. Firstly the prices – a lot costs as it would in the UK or more! What’s the point for us, so called, 1st worlders who want to find a bargain? Why come here to buy anything? So I’m not sure I’ll bring a single souvenir home. I can buy a lot of them back in the UK – cheaper. Pollution – never a big fan of it. I was really looking forward to seeing all the bikes, but where there were bikes there now seems to be cars. One note: both bikes and cars are pretty modern – better than what I see people driving in, so called, 1st world places. I wish the Chinese were better than us Westerners in this, but it runs akin to the argument we are all the same, but in this case – not in a good way. My husband tells me in 10 years time or less the city will be cleaned up – I hope so. It deserves it, just for it’s historical significance and for the millions of lives who will live a shorter life due to the poor air quality. I read in a magazine that Beijing sits at 58 as the worst polluted city in the world – what are we doing to ourselves? Or better question – how do we stop doing this and still enjoy life? My 1st day on my own was great. Hubby had suggested something close and easy to find, but as the day went on. I soon became quite grumpy. There was little to no clarity how to find places without a tour, a guide or fluent mandarin. I wasn’t keen on any of these, as I like to be able to walk in a city or, at least parts, and just get around. Beijing is a safe city. I never felt threatened or that I might get mugged at any minute. So, that is great! That made me want to find some way around even more! There are cities out that this isn’t the case – Miami, Florida being 1, but that’s another story! I thought I was sunk, so I shared my woes with hubby, who just called me a chicken. Needless to say that wasn’t what I was hoping for or needing. It did get me thinking, plus he said the main sites weren’t as difficult to find as where I had been this day. There are big brown signs that do point you in the general direction. I determined that I would try and push past my fear of dis-orientation and fear of not reaching my destination. I’m willing to try and accept I may fail the 1st time, but try again. What have I seen so far? The Drum and Bell Towers – go early – 9:30am to watch the drums being played and buy the combo ticket as you get good views from the bell tower. This is in the Hutongs – great place to eat, find cafes and observe Chinese city life, esp. around the Lakes. In the evening lovely to stroll around the lakes. I’ve been to the Beihau Park – very nice walk and mainly Chinese go their to just enjoy life locally. You can hire boats to go on the lakes. The hotel where we stayed is in a great area to be based from, as it’s so nice to just walk around and there are lots of shops to pop into and enjoy. 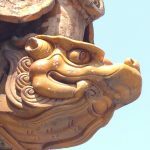 My experiences of Beijing just got better from here, but I wanted to write this anyway to encourage others who may be like me and newbies to Beijing. There is a way through, it just isn’t like many other places I’ve been. If you are in Beijing for a few days then use the metro it is brilliant and easy to use and navigate. Plus, my hubby has been to Beijing several times and still hadn’t got 1 of their cards to travel on, they are very easy to get, so ha! Hubby, I’m not such a chicken after all! Given the traffic jams it also is a great way to save time and get around relatively quickly. Just avoid rush hour! Share your stories and secrets of Beijing below! We’d love to hear them! This is a drink worth trying – it’s a yogurt type drink which is delicious!